Home BUSINESS EDUCATION MKU ventures into real estate with upmarket residence in Mombasa. MKU ventures into real estate with upmarket residence in Mombasa. The 12-floor building in Nyali estate has premium class serviced apartments, a fitness centre, a restaurant, swimming pool and a penthouse. Mount Kenya University (MKU) has ventured into the real estate and hospitality market with the opening of a multimillion-shilling mixed-use facility in the coastal town of Mombasa. 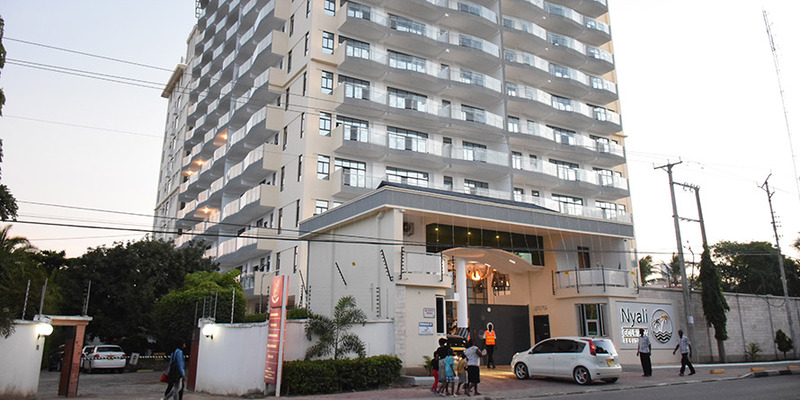 This 12-floor Nyali Golf View Residence is part of the university’s efforts to diversify its income streams and ultimately establish an endowment fund that will help finance its activities in the long term. The facility that is located in upmarket Nyali estate has premium class serviced apartments, a fitness centre, a restaurant, swimming pool and a penthouse. Chairman Simon Gicharu says that the investment, which was initially meant to host MKU’s Mombasa campus, offers residence and recreation services to the growing demand for premium tourism and hospitality services. “We wanted to invest in something that Mombasa will be proud of and also introduce a new product mix for our tourism industry, which has greatly benefited from recent security improvement in the coastal city,” he said.